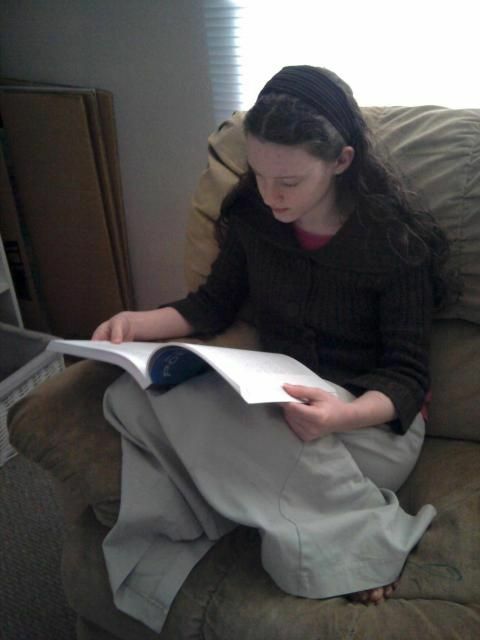 When my homeschool journey began, I thought my biggest challenge would be to teach my children to read. If that was successful, then the rest would all fall into place. Then Algebra loomed on the horizon but with chocolate by our side, Bekah and I are conquering that beast together. The real challenge is tackling subjects like poetry. Yes, poetry. It is beautiful, expressive and sometimes very hard to understand, discuss and enjoy. However, Classical Academic Press has once again written a resource that takes a subject that can be challenging to teach and makes it one of the favorite subjects in the day. The Art of Poetry takes the study of poetry and gives the students and teacher a framework to enjoy poetry of all forms. Over the years I have incorporated poetry into our day. Reading aloud poetry and memorizing it is a common practice. Enjoyed? Yes, we have enjoyed poetry but had never taken it beyond that. Grammar texts always had a section on poetry that was worked through quickly (or skipped) so we could just move on. The Art of Poetry has changed that perspective. What is The Art of Poetry? The Art of Poetry is a literature resource designed for middle school and high school students. Throughout the course, you will learn to read and take poetry slowly, learn the different elements of poetry and understand the different forms that poetry can take. The course is designed in a manner that it can be used in a variety of settings; classroom, co-op, family discussion or independent study. 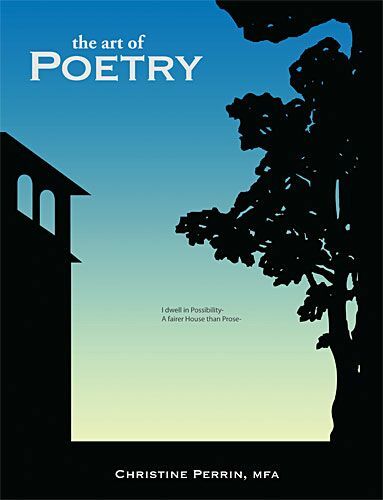 For this review, we received three products: The Art of Poetry Student Text, The Art of Poetry Teacher’s Guide and Disc One of The Art of Poetry DVD set. The Art of Poetry Student Text -The student text is sixteen chapters that cover the Elements of Poetry, Formal History of Poetry and Application. Each chapter provides multiple poems to be read and discussed. Mrs. Christine Perrin provides plenty of information to guide your student through the study of poetry. Brief biographies of each poet are provided along with a time line. Questions following the poems really help the student to think through each work; helping them to feel, see and dive into what the poet is trying to express. The Art of Poetry Teacher’s Guide is an amazing resource of information. 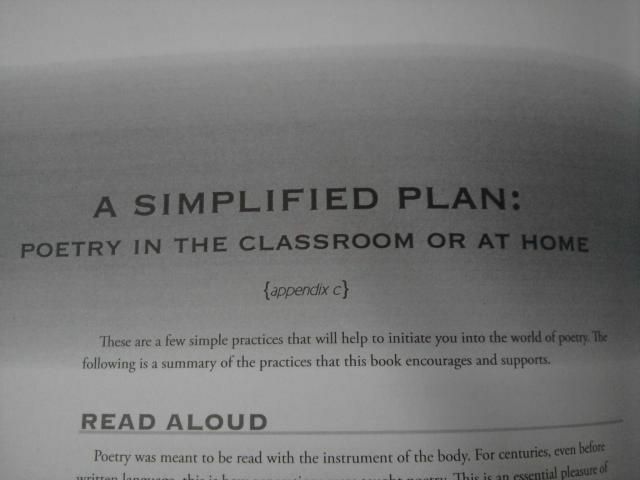 As a mom who was not comfortable leading an in-depth discussion on poetry, the teacher’s guide was a must have tool. This guide contains the same information as the student text, so you can lead discussion easily. In the beginning, Mrs. Perrin covers how to use this book at home or in the classroom. Timetables of study are given; from an intense month long unit to digging deep over a few years, this course can work for any family’s style of learning. The back of the book contains a simplified plan for the home; building skills in reading aloud, memorizing, collecting poems. Quizzes are also provided in the teacher text for those who prefer a standard type of evaluation. A link to online resources is provided as well. With this teacher’s guide in hand, any parent can effectively teach and share a love of poetry with their students. Disc One of The Art of Poetry DVD – The DVD present Mrs. Perrin and four teenage students working through the lessons. Discussing the poetry, elements and such as they cover the chapters in the book. Disc One covers the material in chapters 1 and 2. We enjoyed the DVD and listening in to the discussion and gaining a bit of knowledge on how to work our way through the text. For those who may work through the course independently, the DVD set could be very beneficial in bringing out some points that might be missed without discussion. It is also very helpful for the parent/teacher who may be new to this style of teaching through discussion. We found that we preferred discussing and working through the lessons on our own. Viewing the sample online would be helpful to judge for yourself. How did The Art of Poetry Work for Us? 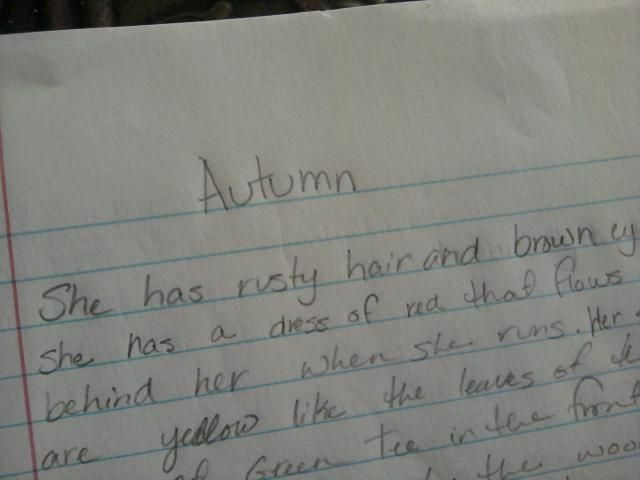 The Art of Poetry was used with my two oldest children. They were the perfect age for this program; 12 and 14. To fit into the flow of our day and method of study, we took a more laid back approach to The Art of Poetry. We gathered on the living room floor and watched the first lesson on the DVD. After finishing up the lesson, we chose an activity to complete (a free write) for the day. We would meet twice a week to cover poetry. We kept the lesson casual; reading the poems aloud, discussing and choosing one or two activities to complete. The teacher’s text was a valuable resource for me in leading the discussion. It really helped poetry to be an “open and go” subject. The surprising result for me was who really became interested in poetry. My literature loving writer was not eager for this course and would have opted out if I had let her. My 12 year old daughter is the big surprise. She has loved this course and does not let me forget that we need to cover a lesson. We will definitely complete this study; taking a slow and leisurely pace. The Art of Poetry items can be purchased separately or in a bundle depending on your budget and needs. Upcoming Price Change! 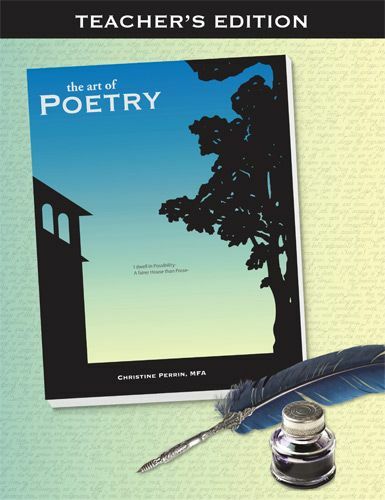 Starting April 1st, The Art of Poetry DVD set will be $69.95; The Art of Poetry Bundle will be $99.95!!! Sample chapters are available for each text as well as a sample video at ClassicalAcademicPress.com. As always, Classical Academic Press offers free resources online that enhance your study. For The Art of Poetry they have a suggested schedule and downloadable audio files. You can even visit The Art of Poetry Online. While some of The Old Schoolhouse Review Crew joined me in reviewing The Art of Poetry, other families have been using Discovery of Deduction. Make sure to visit the Crew and see how others have used these programs in their home. This entry was posted in Homeschool, TOS Crew Reviews and tagged classical, conversation, curriculum, literature, review by sweetie. Bookmark the permalink.